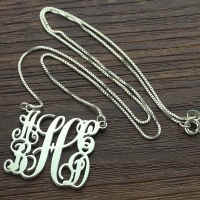 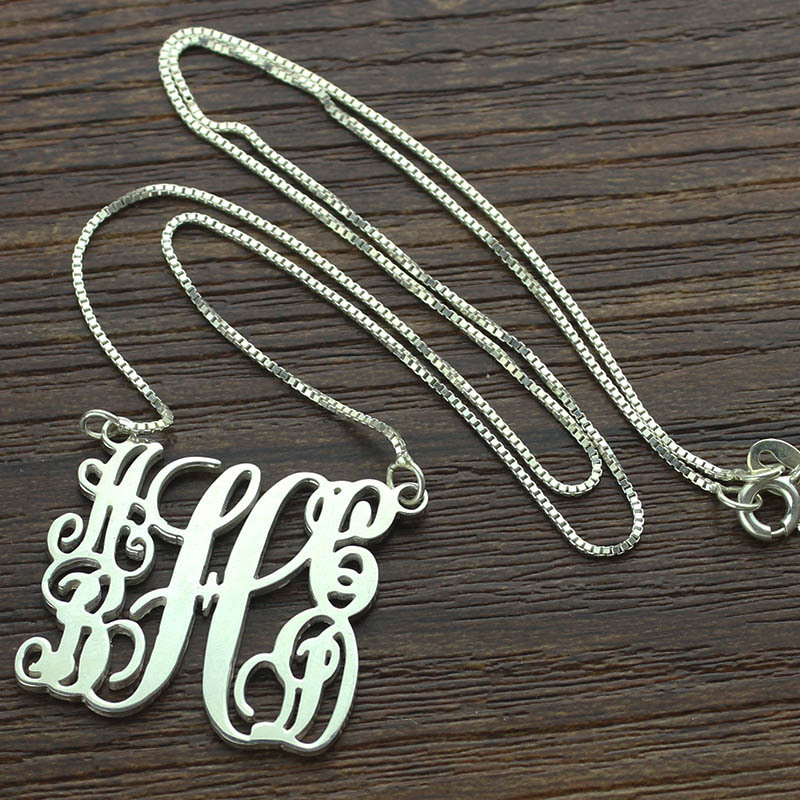 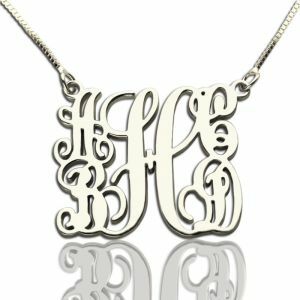 Mothers Day Gifts - Personalized Family Monogram Necklace for Mom - This eye-catching fashion necklace spells out your affection for all to see. 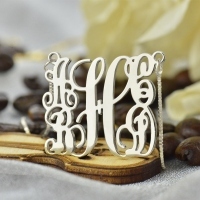 and then can be finished with initial of your choice, such as Mum, Mom, Nanny, Grandma or Granny. 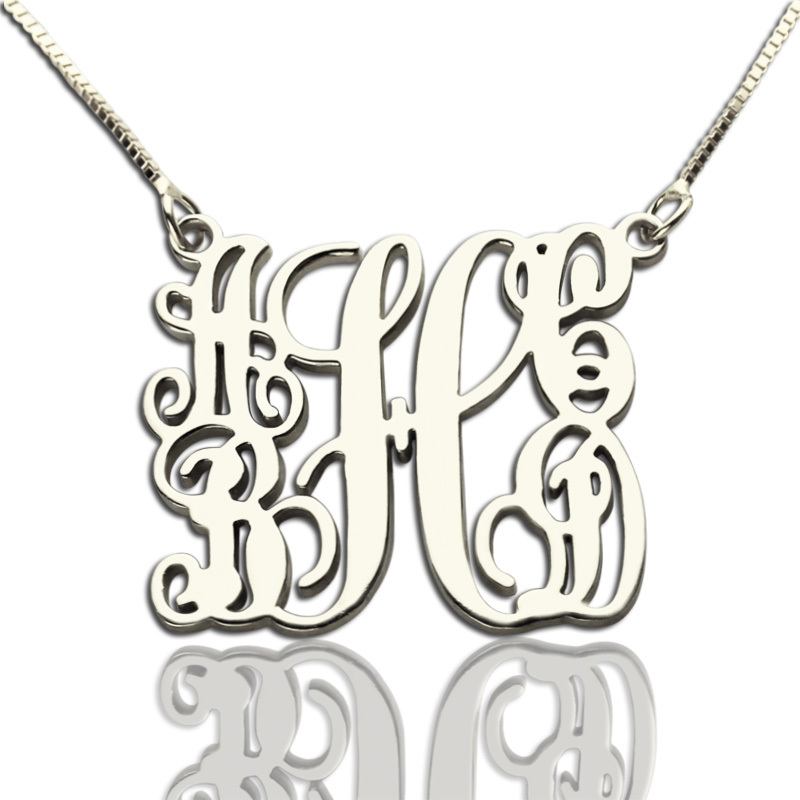 Created in sleek sterling silver, this scrolling monogram-style necklace spells out 5 letters, all tastefully designed to create an alluring appearance. 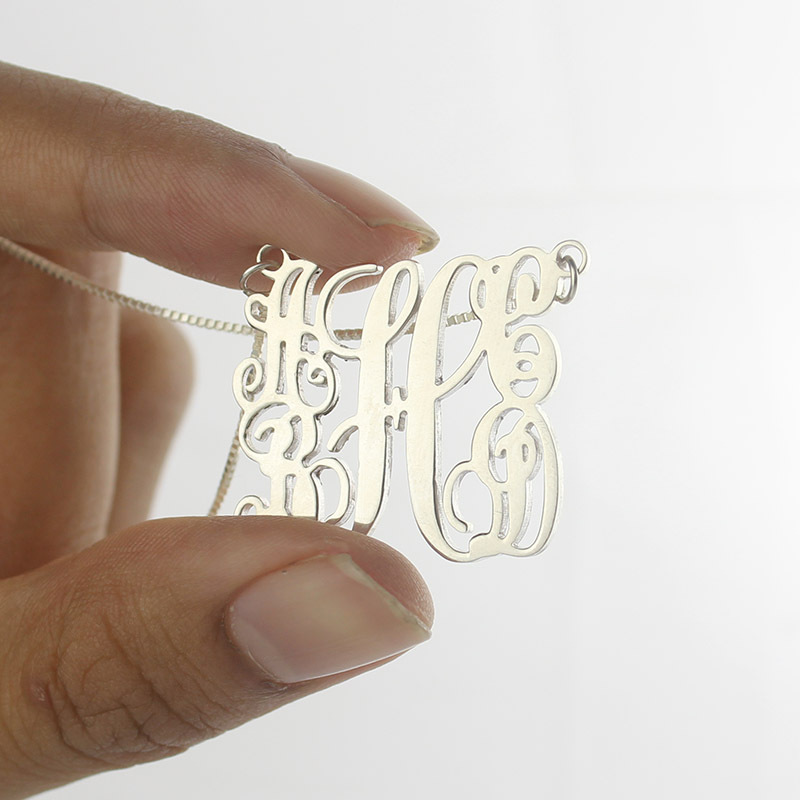 This pendant has one letter located at the center. 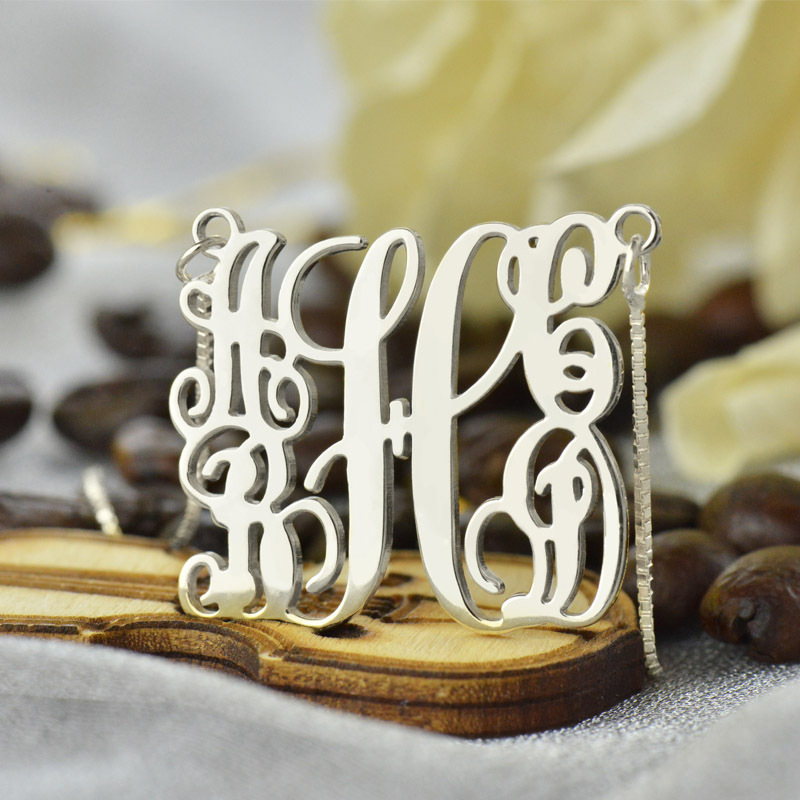 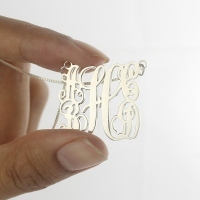 All around the middle letter are four letters that are strategically located to give a visual balance to the pendant in an ornate and flowing script font.